Beekeeping 101 - How to Become a Beekeeper | Award-Winning Local Honey From OKC! 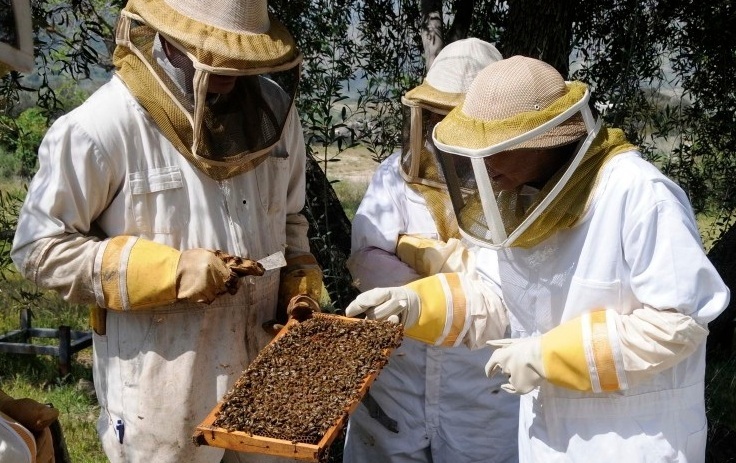 The interest in beekeeping is on the rise for many reasons. From people interested in gardening and sustainability to environmentalists who see the struggle of the honey bees and know that they are the essential key to our food supply, people all over the world are becoming interested in a hobby that had begun to decline. Others are interested in the commercial potential of bees. So, how do you get started? 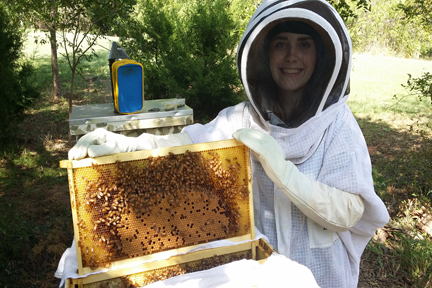 Take a Beekeeping 101 Class In-Person or Online with Queen Bri’s Honey! 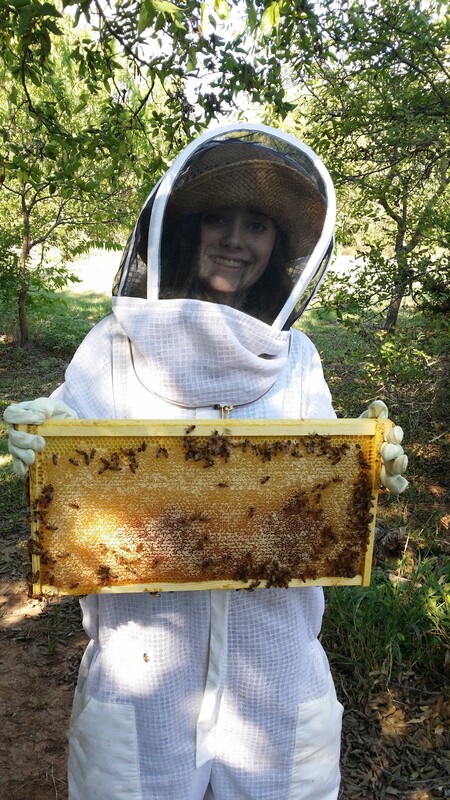 Find Out More Information About Queen Bri’s Honey Farm’s Next In-Person Beginner Beekeeping Class Here! Local beekeeper associations will typically offer beekeeping classes in a classroom setting one time a year, usually in Winter. 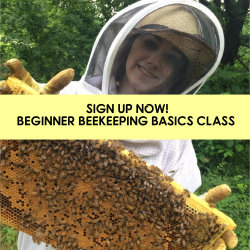 Typically offered in the Fall and again in the Spring, these classes typically do not offer any hands-on training at apiaries, but will still teach you just about everything you need to do to get started. Pro – Each instructor from whom you take a class will bring with them their own experience and way of doing things. Taking multiple Beginner Beekeeping classes from different instructors can be beneficial to new beekeepers because they will learn something new or a different way of doing things from each instructor. Con – With no hands-on experience with your bees, it can make your first encounter with your bees when they arrive in the Spring a little daunting and nerve-wracking. The ‘what if I screw this up’ question must be dealt with, and you will still feel a lot like you’re winging it, even with the classroom time you’ve spent in your beekeeping class. All of Queen Bri’s Honey Beginner Beekeeping classes are taught at our office in a professional office complex which we own. The offices are modern, seating is comfortable, and we use audio/visual aids that are easy to hear and understand. 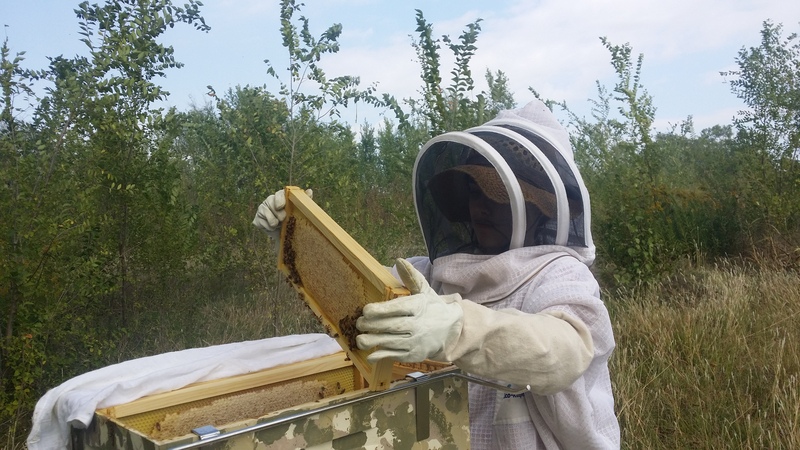 However, we do not teach with live bees because few students already have the gear needed to suit up to go through hives, and also for liability reasons if someone were to get stung and have an allergic reaction. Queen Bri’s Honey does NOT teach using this method, but it is another valuable way to learn about beekeeping if you can find a local beekeeper providing classes with this method. It is NOT necessary to have seen the inside of a beehive in a class like this in order to get started in beekeeping, so don’t let this deter you if you can’t find a class locally or a beekeeping mentor who will let you come on-site to see how to inspect hives. 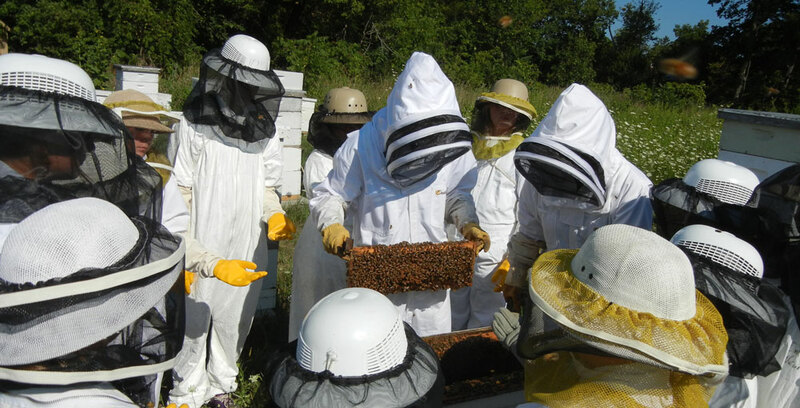 These classes are taught by an experienced beekeeper, typically only at certain times during the year (because sometimes it is too cold to open the hives), these classes not only teach you the basics of beekeeping, but also give you a chance to put on a beekeeping suit and get up close and personal with the bees. Typically taught in a much smaller group of people, the time to get through the basic material takes much less time because you don’t have as many people asking questions. But, don’t let the fact that there is less classroom time deter you. Pro – Smaller class size makes it possible to get through the material more quickly due to less questions being asked. Pro – Seeing the bees upfront, before you’ve purchased them, will allow you to gauge whether or not you’ll really like working with bees. 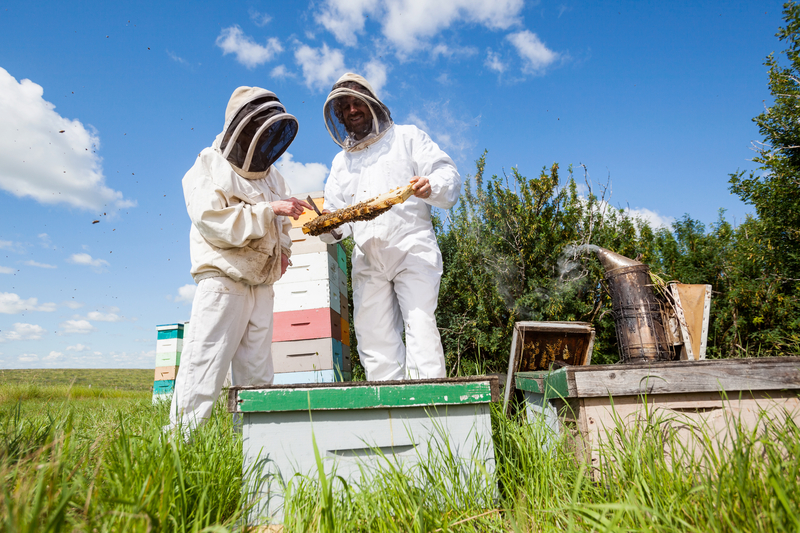 Pro – You’ll learn in a hands-on manner the proper way to inspect your hives, with an instructor there to correct you as you inspect one of their hives. This will instill much more confidence in you when you first inspect your own hive. 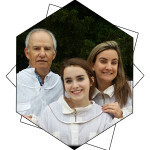 Con – Because you are out in the apiary, the class might not be as long or cover as much material as a class that is taught inside with audio/visual aids such as PowerPoint slides that cover checklists and basic information. Find Out More Information About Queen Bri’s Honey Farm’s Online Beginner Beekeeping Class Here! Queen Bri’s Honey currently has the Best Selling Online Beginner Beekeeping Class available on Udemy.com. There are currently very few online beekeeping classes available. Online beekeeping classes enable you to take a full-blown beekeeping class at anytime throughout the year, not just during the Fall or Spring when most in-person classes are available. Has no in-person classes offered in their area. Our class includes not only the training you would normally receive at our in-person beekeeping classes, but also includes much more because we are not under time constraints like we are with our in-person classes where the classes typically are 9am – 5pm. Pro – Can be taken at anytime of the year, not just during the off-season of beekeeping. You can also take it in your pajamas at home late at night. So, it truly is the most flexible option for someone who is under time-constraints. Watch the training segments as quickly or as slowly as you want, and you can even re-watch them. Pro – Get the benefit of on-site training through the use of videos of important concepts that are better instilled through demonstrations, and watch them over and over again. Or, go back and watch them at a later date as a refresher! Con – No other students are around to ask questions that you might gain benefit from their asking, and there are no instructors present while you’re watching the videos to ask questions. You will have to email the instructor and wait for a response. If you are lucky enough to know someone who is a beekeeper, ask them if they’d be your beekeeping mentor for a season and teach you how to be a beekeeper. Pro – You get hands-on training from day one and real-world advice from your mentor about why she/he does things the way they do them. Con – You’re limited to their schedule, and if there are conflicts with your schedule, they won’t be able to postpone their hive maintenance activities just because you are busy. So, you might miss out on critical to-do items. Con – You’ll delay the start of your own hives by potentially a year unless you decide to just take the plunge and buy some bees and hive equipment and see what happens. There are many people who have taught themselves how to be a beekeeper simply by watching YouTube videos and reading lots of beekeeping 101 books. I know some of these beeks, and they are extremely knowledgeable about beekeeping because of all of their reading. This doesn’t mean that they didn’t screw up in the beginning, and potentially screw up a lot. Beekeeping mistakes can be very costly as this is NOT a cheap hobby. But, if you don’t have access to beekeeping classes in your area or an online beekeeping class, this option might be your best bet. If you go this route, just know that in order to get started in beekeeping, you MUST order your bees in December/January in order to get started in beekeeping. Otherwise, you’ll have to go catch a bee swarm in the Spring in order to get started unless you know a generous beekeeper who will sell you some of their bees in a package or nuc to get started, as most commercial sellers will be all sold out by the end of January. Pros – You can start beekeeping on your time schedule, and you can read or watch YouTube videos on your own schedule as well. This is another great option for someone with time constraints. Pros – You most likely will be more ‘book smart’ about honey bees than most beekeepers if you go this route. 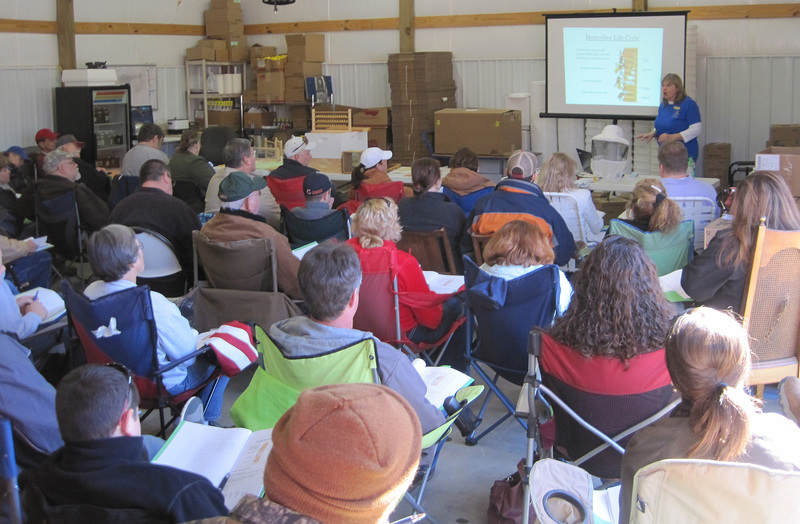 Cons – You will miss out on the advice you’ll gain from other beekeepers in a beekeeping class setting. Some of these are just random nuggets of information that they’ve gained through trial and error that you won’t find in a book. Cons – This training method will most likely take more time to learn about beekeeping than taking a beekeeping class, mainly because you’ll be covering ALL the information in your beekeeping beginner books, and not just the highlights of essential information that beekeeping classes cover. Believe it or not, some people just buy some equipment, a suit, and go catch their own bee swarms. Then, they just figure it out as they go along. Pros – You can do your own thing without being hindered by what you ‘should or shouldn’t’ be doing. Cons – You’ll very likely make a ton of mistakes along the way, which might result in either your bees swarming and leaving your hive or that might kill the entire hive. (Of course, you might have a bumper crop of honey too). It will be a gamble of results, for sure.